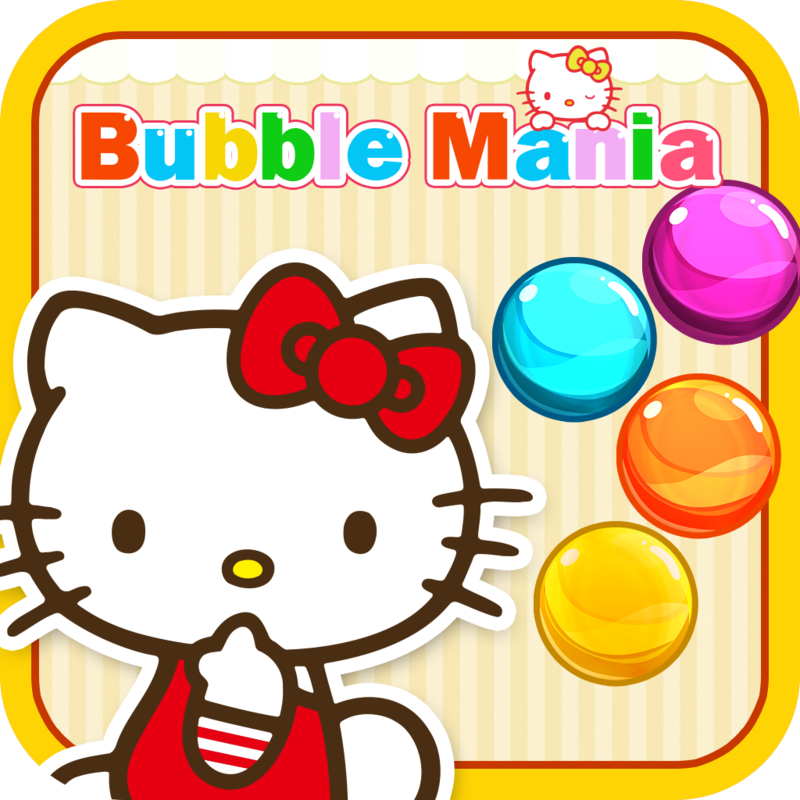 Bubble Mania Hello Kitty Edition (Free) by Bigone is a bubble popping game that features the ever-popular character Hello Kitty. Bubble Mania is a popular game in its own right, but Hello Kitty is bound to add even more fans. 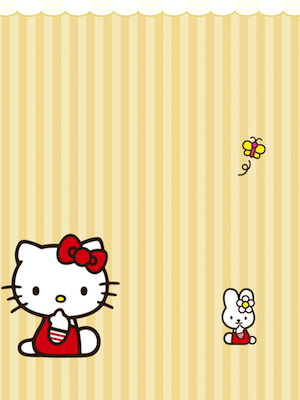 The backgrounds are adorable and the music is as cute as could be expected. 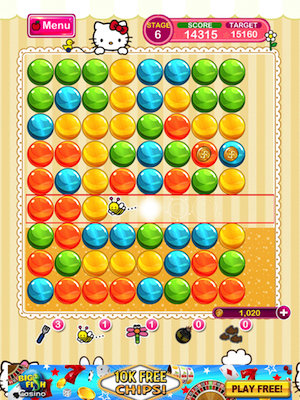 The premise of the game remains the same as the traditional Bubble Mania app. 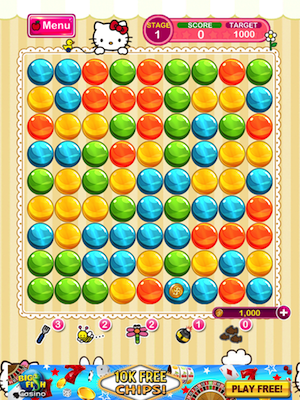 You burst any groups of like-colored bubbles that have two or more in them. You gain more points when there are more bubbles in the group. 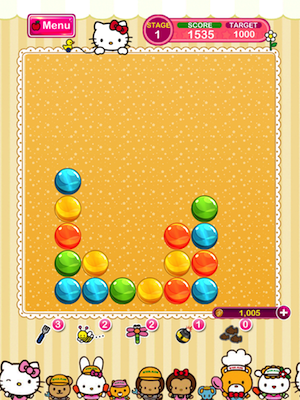 By the end of the level, any bubbles left over are subtracted from your score. You make it to the next level when you reach a target score. 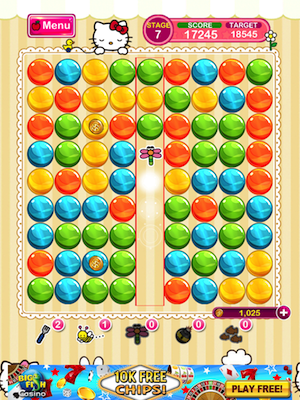 This score becomes higher as you progress through the levels. There are extras that can help you along the way. Some of these extras are the bomb, the dragonfly, and the bumble bee. The bomb allows you to remove an entire group of bubbles. The dragonfly removes a vertical row of bubbles, and the bumble bee removes a horizontal row. There are also bubbles that contain coins. These coins allow you to purchase characters that assist you throughout the game. The frog gives you one bonus extra per type. The duck increases your score by 20 percent. The hooded bunny revives you once during the game. You can also spend additional coins to upgrade these character boosts. If you want to purchase some extra coins to help you during the game, you can buy them through an in-app purchase. Otherwise, it’s a free game. 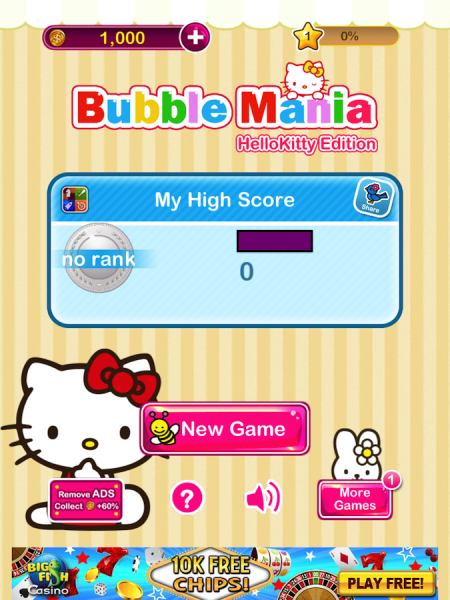 Bubble Mania Hello Kitty is a universal app, and it’s available in the App Store for the awesome price of FREE!